The MachracTM is a revolutionary ute slider that makes loading and unloading your ute easy. Designed to the size, brand and layout of your ute, the MachracTM transforms your deck into a custom-built ute slider. Instead of straining to reach your cargo, the MachracTM brings your tools and equipment right to you. This ease of access makes heavy lifting and handling safe for everyone. We have some additional options to customise your standard double cab Machrac. Any customisation have additional charges. 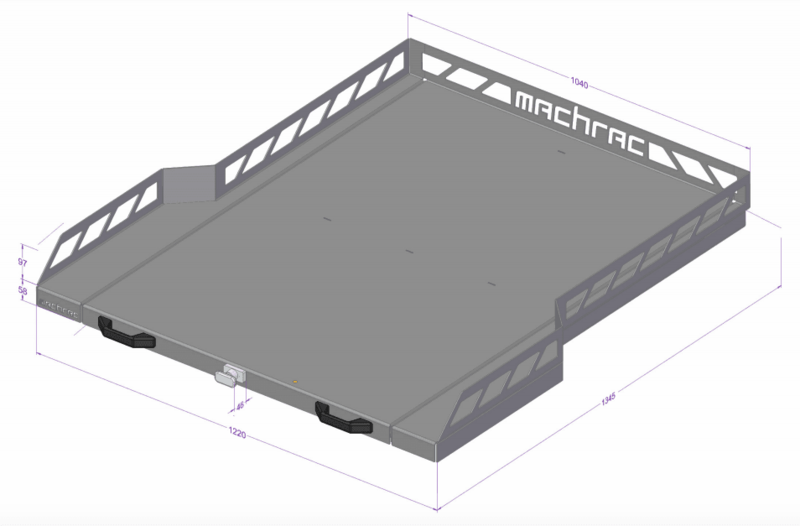 The Machrac can be customised to fit older model of vehicles. They also can be customised to fit single and half cab utes. Chequer plate option – You can have the option of fitting your machrac with a chequer plate finish. Marine grade carpet option – You may want to complete the surface of your machrac with marine grade carpet. We can sort this for you too.